I promise I’m not turning into a concert video blog, but this is too good not to share. Roni Size & Reprazent performing while broadcasting on BBC2 at Maida Vale. The sound does indeed get better after 5 minutes… but, LOOK AT ALL THE CRTs! Aphrodite got stiffed a large amount of cash from a local promoter. Not going to offer an editorial on this one because the Quad incident was not that long ago, and I don’t want to risk accusations of slander; all I’m doing is reposting what is already out there. Check Aphrodite’s post on Facebook, as well as the warning webpage he created. A special mix I compiled for Art of Beatz radio, hosted by Kuma of The Konspiracy Group. This mix aired live on their weekly radio show, broadcasted on Vancouver’s COOP Radio 102.7FM. As the show airs at 3AM Atlanta time, I imagine many east-coasters missed this when it debuted however, the archive is now available for streaming and download. Something a bit different, keeping things around 160-bpm for the entirety of this mix, forgoing the usual sub-140 sounds I’ve been favoring lately. Here is the archive from Late Nite Tip hosted by Embassy Recordings on Sub.FM. Due to the time change confusion, the show coming on after us ended up starting let which left us the ability to run for an extended three-hour show this time, allowing an extended jungle session from the Embassy crew. The rising ‘Autonomic’ sound has become one of my favorite upcoming sounds recently. I have been a long time follower of the Autonomic Podcast series put together by dBridge and Instra:Mental. I have shown my affinity for faster 160-170 bpm music in earlier posts. While the autonomic sound does at times remind me of so-called ‘atmospheric drum and bass,’ there is something more dark about the sound without being self-referencing or over-bearing in its darkness, instead opting for a more minimal sound at times. 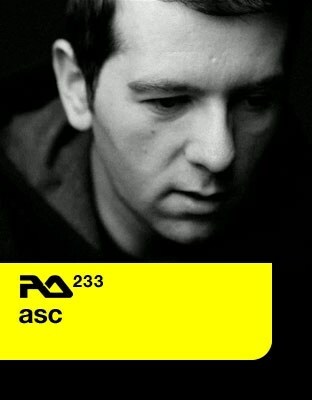 Enough talk, head over to Resident Advisor ro read a short Q&A with ASC or proceed directly to downloading the mix below. The crew over at Samurai.FM have posted over a streamable version of Scuba‘s jungle set from the 2 year Sub:Stance birthday event at Berghain in July. I will spare you all the biographical details on Scuba as he remains one of the most revisited artists featured on this site. The production quality of Evol Intent can’t really be challenged. The combination of Knick, Gigantor, and The Enemy has been something the southeast USA has been long accustomed to, before the rest of the world knew about Ludacrist, Computer Club, or Treasure Fingers respectively. With their own drum-and-bass imprint cropping up in the mid 2000’s as well as appearances on Renegade Hardware, Human Imprint and Barcode. 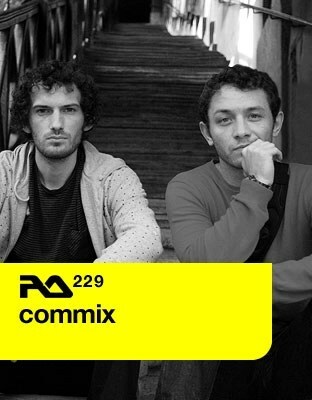 Today’s Resident Advisor podcast features a mix from Commix, a group reknowned for their drum and bass sound; however lately their sound has taken a shift towards the house and techno vein. Similar to Blu Mar Ten, Commix is renowned for drum and bass however a close listen to their releases shows that they pay little attention to expectations and instead draw influences from a wide range of slower and more soulful styles. This is most evident in Commix’s latest release ‘Re:Call To Mind,’ a remix compilation that tapped the production duties of Marcel Dettman, Sigha, Burial, and A Made Up Sound to name a few. Similar to their latest release, this podcast draws heavily on the house influences of Commix’s George Levings and Guy Brewer. Quite an enjoyable podcast that has been turning the heads of dnb and minimalism fans alike. There is, and always has been, a lot on offer within the drum & bass scene. There is loads of stuff that we are really into. Some really cool producers making some wicked experimental stuff. But at the same time, much like any scene, there are some really bad productions too. So bad, in fact, that it would be hard to actually describe it as music. It’s also a shame that the worst stuff seems to be the most popular within drum & bass, as it generally scares off your average intelligent listener before they’ve had a chance to seek out the good stuff. Where to begin… I have said it before and I’ll reiterate here — I would not be DJing at all if it was not for having heard LTJ Bukem behind the decks. As I’m sure a number of readers of this site are fans of electronic music I imagine a fair number of readers remember this release. Not to be confused with the 1996 release of a very similar name, with the exact same cover art (wtf?) I am focusing here on the three disc set released in 2001. Expanding on the jazzy and “atmospheric” aesthetics of drum and bass, Logical Progression Level 1 is a three disc box featuring a brilliant mix as usual from LTJ Bukem and longtime collaborator MC Conrad. I have an understanding for why many have a disdain for Conrad however his cadence was absolutely unlike anything that any other dnb / jungle / ragga MC was providing at the time. Clearly, the rapid-fire delivery of Stevie Hyper Dee or Skibadee would not sound very smooth on top of the selections LTJ Bukem is typically known for. 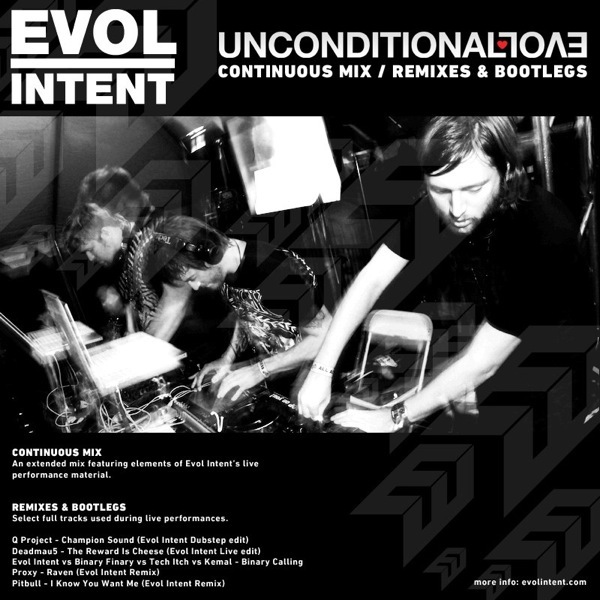 Besides, if you hate it that much Good Looking almost always includes a vocal / instrumental version of each installation of their mix series (Discs 1 and 2 of this compilation). As with every LTJ Bukem mix I’ve ever heard the track selection is absolutely phenomenal, as Bukem moves effortlessly through classics from the Good Looking roster including Q-Project, Seba and Lotek, and Peshay. The mix features an amazing rework by Peshay of LTJ Bukem’s anthem “Music,” which as far as I can remember is the first Amen-based electronic track I ever heard. Peshay’s reworking definitely does the original justice, which for a release that was huge as Music is quite an accomplishment. In addition to an amazing track selection, the mixing here sounds as effortless as it does seamless. The section between Funky Technicians and Jazz Lick is absolutely mind-blowing to anybody who has stepped behind the turntables whether in their bedroom or in the club. Towards the end of the release comes a smooth cut from New Balance, a partnership between pioneers Nookie and Blame. Long ago I purchased a promo 12″ of this on eBay, and it’s easily my most prized piece of vinyl I own. Upon any listen to LTJ’s live or studio mixes, it’s easy to understand why his styles are something that still to this day are something I strive to emulate. Absolutely classic and anthemic tunes on this release, mixed flawlessly — world class. While I do enjoy writing about current, and forthcoming releases through this site, at times I feel like I neglect to touch on some of the earlier releases that formulated the opinions, and expectations I have for today’s music, and those as we look forward. Hopefully through this weekly series, I’ll touch on something you may have forgotten, or better yet something you are completely unfamiliar with. 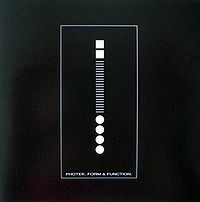 For the first installment of this series I am covering the 1998 release ‘Form & Function’ by drum and bass legend Photek. ‘Form & Function’ was released September 14, 1998 as a digital compilation of six essential Photek singles previously only available on wax – oddly twelve years later, waiting months for the digital release of vinyl only tracks is still a common occurrence. As a companion to the six originals by Photek, the release begins with six remixes featuring the studio work of J Magik, Doc Scott, and Peshay. Photek’s sound is unique, and defining, and it’s clearly evident with each release picked for ‘Form & Function.’ It’s easy to comment on the legacy of tracks such as ‘UFO’ and ‘Rings Around Saturn’ this far into the future, where it is easy to see the legacy they have left behind. The stripped down minimal sounds created by Photek and the sheer complexity of his drum programming became his trademark, and still today, listening to the breakdowns in UFO are as awe-inspiring today as they were upon it’s initial release. With a mind for a deep minimalist approach, its clear to see how listening and reviewing releases from artists such as Compound One, Icicle, and Shackleton are appealing to me currently. A little different speed than what we typically expect from Berkane Sol label-head Geiom on this newest mix from him for the Bedtime Bunnage blog. A lot of deeper sounds of drum and bass on what is clearly a masterful selection here. Expert timing on this; quite recently I have reignited my fascination with 150-170bpm tunes, always looking to hear what new paths are being forged in that realm; truth be told it was my gateway into the realm of EDM in the first place. Be sure to grab the download of this and scope the tracklist below. Thanks to Bedtime Bunnage and Geiom for making this one available.